North Africa Risk Consulting is the only political and security risk and business intelligence firm specializing strictly in North Africa, with core emphases on extractive industries (oil and gas, mining). Founded in 2010, NARCO has extensive experience helping clients navigate Maghreb markets. NARCO provides political and security risk analysis in Algeria, Libya, Mauritania, Morocco, and Tunisia. NARCO also undertakes due diligence and corporate intelligence investigations throughout North Africa where legally permissible. NARCO is not "boutique." It's just small. NARCO does not do "bespoke" work. It does projects for you that meet your requirements. If you need to know North Africa, know North Africa Risk Consulting. We know North Africa. 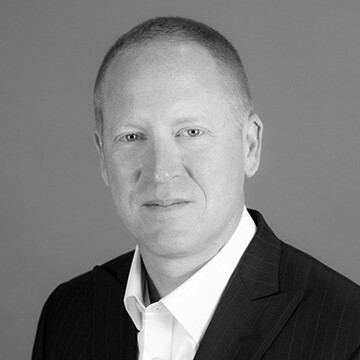 North Africa Risk Consulting was founded by Geoff D. Porter. Geoff has more than two decades of experience working in North Africa and a decade of experience working with the hydrocarbons and mining sectors. From 2013-2016, Geoff was an assistant professor at the United States Military Academy at West Point and a researcher at the Combating Terrorism Center (CTC). He is currently a CTC Non-Resident Fellow and continues to instruct cadets and advise senior military leadership on issues regarding terrorism in North Africa. Throughout his career, Geoff regularly travels and works in North Africa where he has forged enduring relationships with stakeholders in government, state-owned enterprises, the private sector, journalism, and academia. These sources are the backbone of North Africa Risk Consulting's competitive advantage. Jalel Harchaoui is an Associate with North Africa Risk Consulting. Jalel studied geopolitics at Paris 8 University and finance at Grenoble 2 University. His research focuses on the international dimension of the Libyan crisis. In addition to fieldwork in Libya, he has made research trips in many of the countries involved in the North-African country’s civil war. A frequent commentator on Libya, Jalel has published in Foreign Affairs, The Washington Post, Lawfare, Middle East Eye, and other outlets. North Africa Risk Consulting believes in doing one thing and doing it exceptionally well. NARCO provides consulting services strictly for North Africa. We are not an Africa consultancy. We are not a Middle East and North Africa (MENA) consultancy. We are not a consultancy that chases clients from one hot geography to the next. We do North Africa. And we do it better than anyone else. NARCO only works with proven in-country sources and NARCO leadership travels frequently in the region to meet with clients and stakeholders. NARCO does not pay for information or intelligence and does not subcontract client work to third parties. Neither does NARCO cold call sources. NARCO privileges discretion and never discloses with whom it works. All NARCO services are FCPA and UK Bribery Act compliant.